With heavy hearts, we acknowledge the passing of our dear friend, Dr. Wendell Garrett of El Dorado, on Friday, June 1, 2018 at 10:50PM. Dr. Garrett had suffered a stroke earlier in the day, and later showed no signs of recovery. He had not enjoyed good health in recent years, and was residing in a nursing home in the El Dorado area. We know you join us in prayerful remembrance of this fine, gentle man who was the epitome of devotion and compassion. We were all better people for having had Wendell in our lives. “Dr. Garrett passed away on June 1, 2018 in El Dorado, Arkansas after a lengthy illness. He was born December 27, 1954 in Haynesville, Louisiana to Juanita Lowe Garrett and Dawson Garrett and lived a life of honor and dedication. “He attended Haynesville High school where he served as the trainer for the State Champion Golden Tornado football team and went on to Louisiana Tech University where he was a football trainer for the champion Bulldogs. He was a lifelong Tornado and Tech fan and supporter. He graduated from both high school and college with honors, going on to LSU Dental School in New Orleans where he was elected president of his class. “Dr. 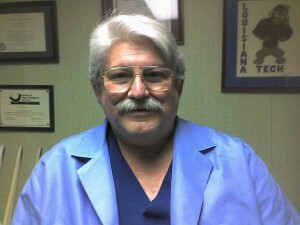 Garrett established a dentistry practice in El Dorado, Arkansas where he loyally served his patients for 32 years. 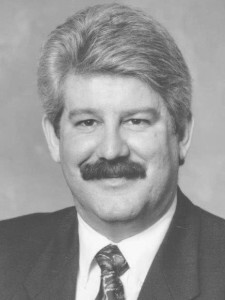 He was extremely active in many professional organizations, including the American Dental Association and the Arkansas State Board of Dental Examiners, where he served as president. Over the years he received many awards and recognitions from his peers. “He was always a generous and giving person who donated time and money to numerous organizations and efforts, including charitable dental services in his own community and in mission trips to other countries. In addition he kept his family and friends well supplied in toothbrushes and dental floss, which was appreciated. “Dr. Garrett was preceded in death by his parents. He is survived by his sister, Lyn Johnson and husband Michael, his niece Pepper and her husband Jason and grand nephews Eli and William, as well as aunts, Mitzi Perry, and Marti Lowe, and numerous cousins, and friends. “A visitation will be held at Bailey Funeral Home in El Dorado, AR on Tuesday, June 5th from 5PM to 7PM. Funeral service will be held at Haynesville United Methodist Church on Thursday, June 7th at 11 a.m with Rev. Fred Wideman officiating. Preceding the service the family will receive visitors at the church from 10AM to 11AM. Internment will follow the service at Shady Grove cemetery in Haynesville, LA under the direction of Bailey funeral home. “Pallbearers will be, Keith Kilgore, Bob Bond, Dr. Gene Jines, John E. Colvin, Jim Oakes, William Cyphers Jr., Alan Middlebrooks, and Billy Tarpley. “Honorary pallbearers will be, Alton “Red” Franklin, Joe Marlon Lee, Harold Atkins, Haynesville Golden Tornado from 1970-73, LA Tech Bulldogs from 1973-77, Ralph Langston Jr., Dr. William Cyphers, Dr. Wayne McMahen, and members of the Arkansas dental Association. “The family would like to give special thanks to Tajuana Stocks for many years of loyal service. “In lieu of flowers, the family requests memorials be made to The Haynesville Beautification, 1909 Main St, Haynesville, LA 71038, McMahen Veterinary Hospital, 1013 Reynolds St. Springhill, LA 71075, or the charity of your choice.